If you've been following me for a while you'll already know that I am a big fan of filling our house with scent! I adore candles and have incense sticks and oil burners scattered around our home. (Chris loves it!!!!). However, if you look on the side of the box you'll find a quick setup guide & also there's this awesome video ... (this video is really helpful). 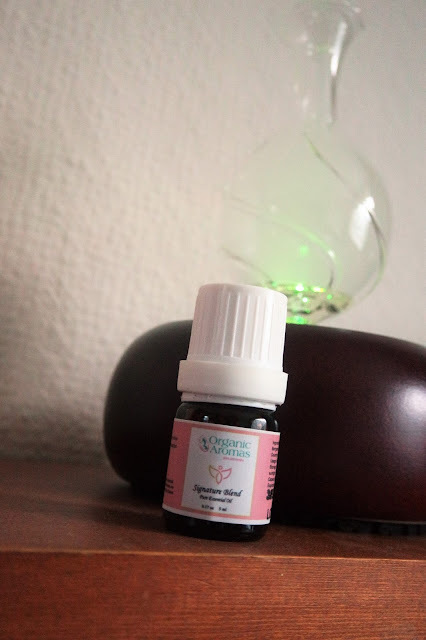 All you do is pop around 20 drops of the fab aromatherapy oil into the glass diffuser and then after replacing the glass top you just plug in the diffuser to the wall and switch it on. It's super easy to setup and use. 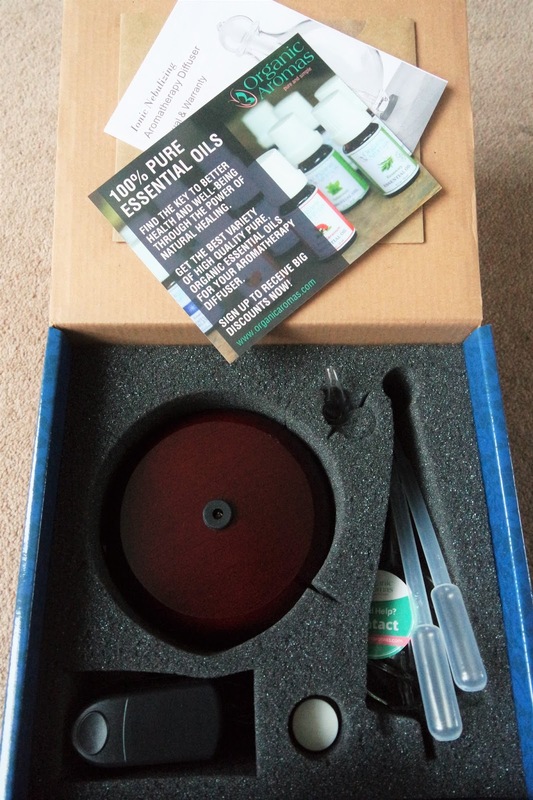 Since getting the Organic aromas diffuser I've only used the signature blend. I'm really impressed with the scent, it's super mood enhancing and it makes your house smell beautiful without being overpowering. 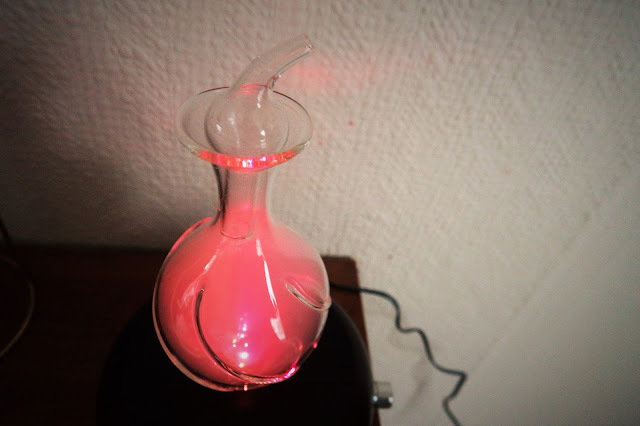 What do I think to the Organic Aroma Diffuser? I think it's a fab little product! 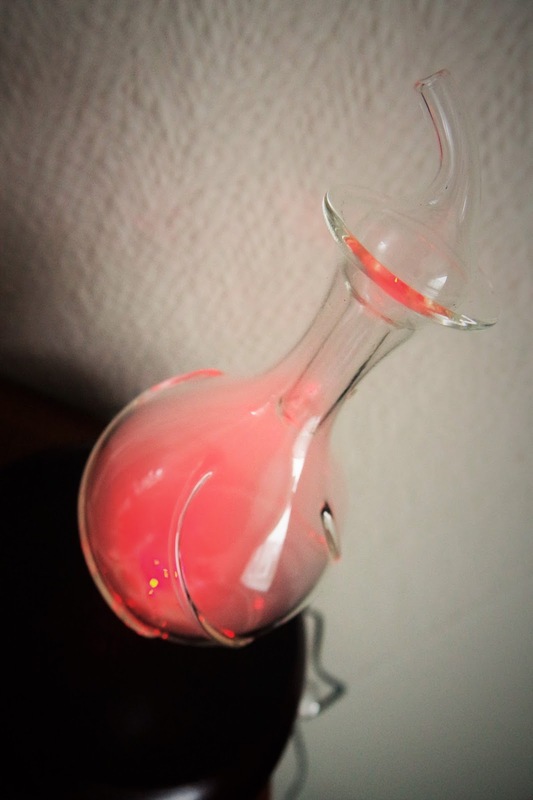 I LOVE how it gently works its magic and slowly diffuses the essential oils into the air. Chris and I tend to switch this on in the evening when the little one's in bed as we both really like the fact that within minutes the air in the room smells really lovely. I think my next purchase will be a bottle of lavender oil as I think that using the organic aroma diffuser with lavender before bed would be quite relaxing after a long day. Another thing that I like about the diffuser is the fact that it changes colour as it slowly diffuses scent into the air. This adds a nice calm vibe to the room. 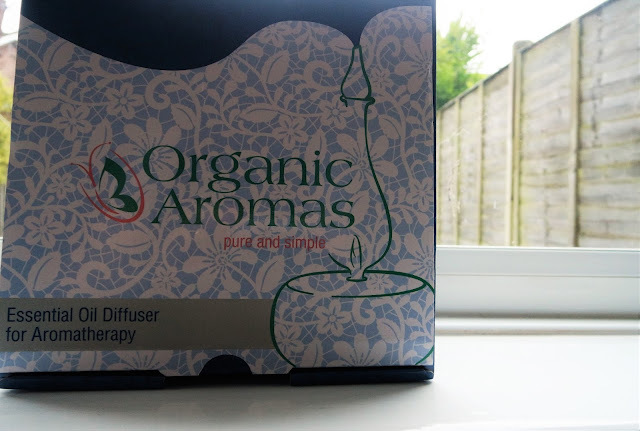 I really love the Organic Aromas Diffuser. Definitely, check out their website and see all the different designs as they make the best Birthday gifts. The average price is around $95 - $175 so around £60 to £120. I absolutely love how the diffuser works to diffuse the essential oil into the air, it's great as the scents not overpowering and because you are using essential oils you're not getting synthetic fragrance surrounding you and the family. One thing to mention though for mummy and daddies out there... make sure that this diffuser is well out of the way of little ones reach as it's quite fragile. 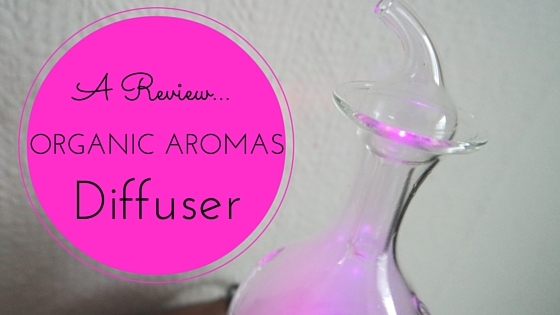 All in all, I am super impressed with this fab little fragrance gadget!